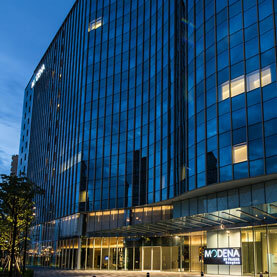 A-grade office building located on the corner of Ploenchit Road and can be accessed via the skywalk from BTS Ploenchit station. It is the first office building to be certified by LEED (Leadership in Energy and Environmental Design) of U.S. Green Building Council at the Platinum level. On March 2016, Lertrattakarn Company Limited entered into a contract for renting its office building area, fixtures, and building system with a rental period of 26 years. It also sold the ownership rights to all the furniture and equipment in the building to Golden Ventures Leasehold Real Estate Investment Trust. 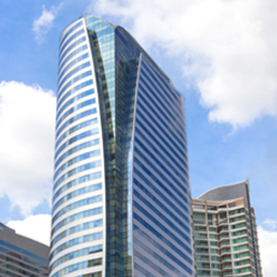 An Office building located at the connecting point between Sathorn Road and Narathiwas Road, and is accessible via skywalk from BTS Chong Nonsi station. This Building is certified by LEED (Leadership in Energy and Environmental Design) of U.S. Green Building Council at the Gold level. On March 2016, North Sathorn Realty Company Limited entered into a contract for renting the office space, fixtures, and building system with a rental period of 25 years. It also sold the ownership rights to all the furniture and equipment in the building to Golden Ventures Leasehold Real Estate Investment Trust. 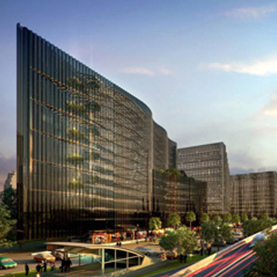 An Office building located on Ratchadamri Road near to the shopping area and significant hotels in the city center. It is accessible via BTS Ratchadamri station and Chidlom station. 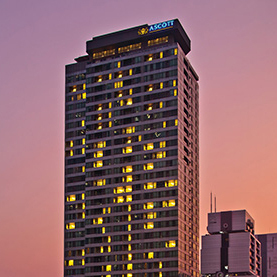 Serviced apartments with 177 rooms located on Sathorn Road near Chong Nonsi BTS Station and managed by the Ascot Group. 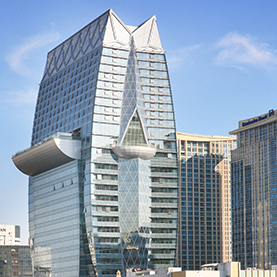 The building's area from the 21st floor to 35th floor is the location of Sky Villas which are long-term rental residences designed by well-known designers. An Office building located on the intersection of Rama IV and Ratchadapisek Roads near Queen Sirikit National Convention Center. It is accessible by MRT with an entrance and exit at the front of the building. FYI Center is certified by LEED (Leadership in Energy and Environmental Design) of U.S. Green Building Council at the Gold level. 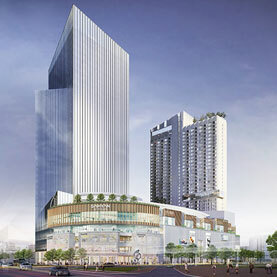 Mixed-Use Complex located at the corner of Phaya Thai – Rama IV Roads comprised of an office area, a residential and hotel area, and shopping area. The project is currently being developed and is expected to be complete and ready for service within 2019. A Hotel with 302 rooms (152 rooms for the first phase and 150 rooms for the second phase) and convenient facilities. It is located near Chang ARENA football field and Chang INTERNATIONAL CIRCUIT race track in Buriram province. LRK Development Company Limited invested this hotel. 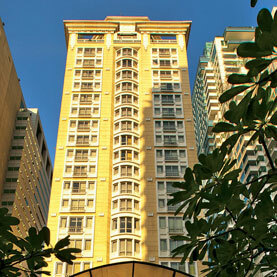 A hotel with 239 rooms located next to FYI Center Building and managed by Frasers Hospitality. 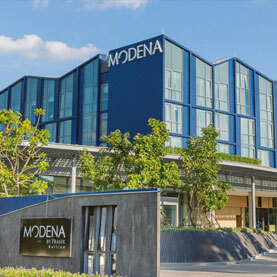 A hotel located on the intersection of Rama IV and Ratchadapisek Roads near Queen Sirikit National Convention Center. Serviced apartment with 164 guest rooms is located in Soi Langsuan. 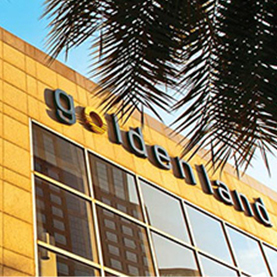 It is managed by Marriott international and GOLD has sold the leasehold rights to the Gold Property Fund.